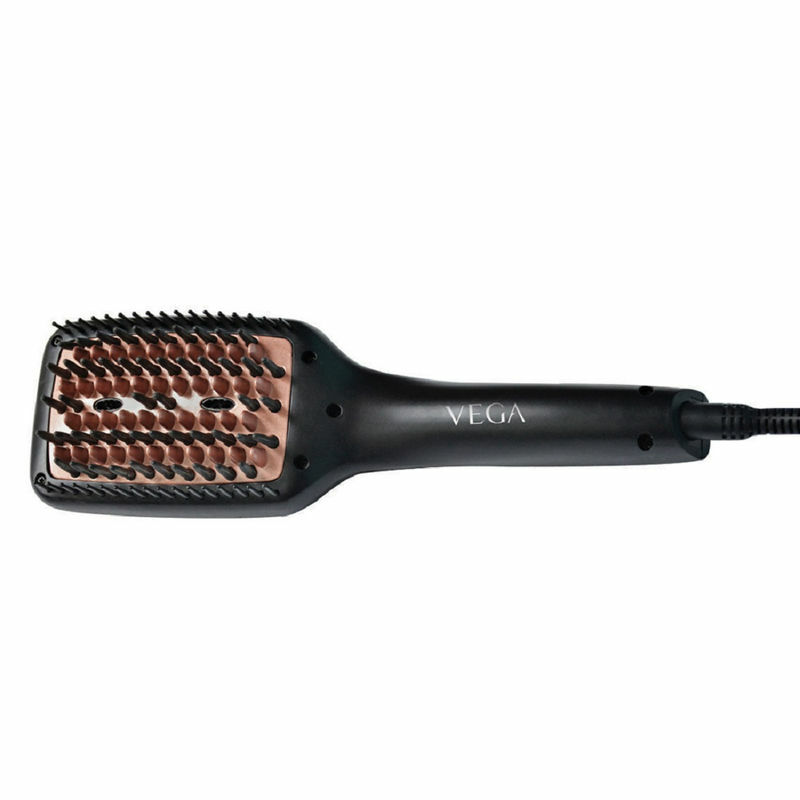 Vega Paddle Straightening Brush is a perfect combination of hair straightener and hair brush. The straightening brush glides easily and smoothly through your hair, detangles like normal hair brush and also straightens your hair like a hair straightener. The brush has silica gel coated heat protective bristles which protect your scalp from heat. It also has anti-frizz and anti scald technology, the brush surface maintains a constant temperature to protect from burn and damage and give you frizz-free hair, It has adjustable temperature setting from 180 C to 230 C along with LCD temperature display which allows you to set temperature as per your hair type. The brush has 360 swivel cord for ease and convenience while straightening. Just brush your hair to get silky, straight hair. Important: Please read the enclosed user manual carefully before operating the appliance. About the Brand: A name that is synonymous with trendy beauty accessories, premium quality and an unparalleled product range, Vega is inspired by the classiness, the style and the confidence of the modern women. Known for their best quality makeup brushes, the brand today provides a wide range of innovative and affordable beauty accessory tools, personal accessories from head to toe.